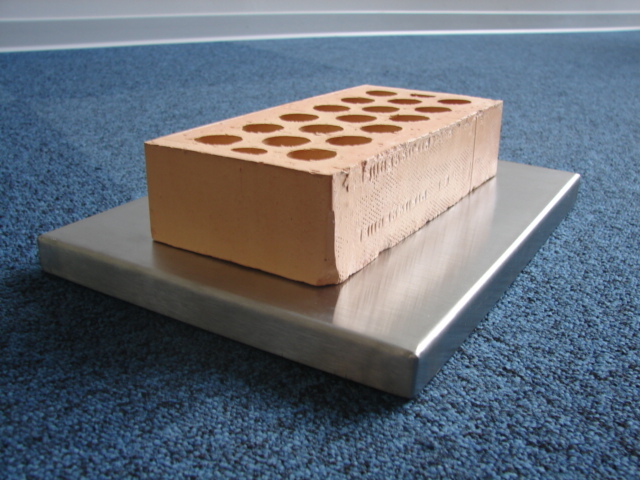 Ultra flat scale for drying processes. DryBal is a weight data logger able to be used in industrial environment. Its rugged design and its high temperature electronics make it useful for weight logging inside drying oven. The uncertainty specification and the sensor technology make the DryBal data logger more suitable for weight variation measurement than for absolute weight measurement. The uncertainty figures are specified in the data sheet and must be taken into consideration for the best compliance with the user application. Therefore, calculation of the uncertainty relative to the expected weight variation is recommended. In a general manner the relative uncertainty of a variation W1-W2 is 2xΔW/(W1-W2). ΔW being the full scale uncertainty. Each logger is calibrated and adjusted in our metrology laboratory in stable conditions, no vibration, stabilized temperature steps, no air flow. Therefore some user applications may require a calibration process to fit the specific industrial environment, knowing that the QLEVER software makes possible the use of an offset. Scale (max 5 kg) compensated in temperature with the possibility of adding a Platinum temperature sensor. Scale (max 30 kg) compensated in temperature with the possibility of adding a Platinum temperature sensor. The DryBal datasheet is being updated.